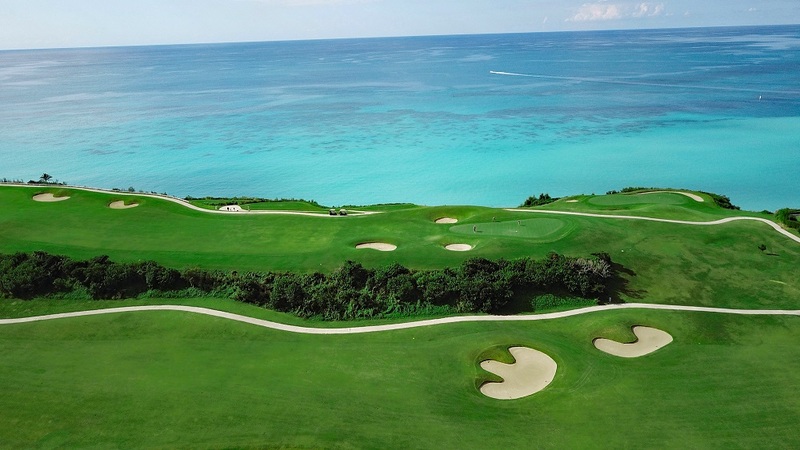 Southampton, Bermuda – Port Royal Golf Course in Southampton, Bermuda will host The BERMUDA 3s presented by Goslings, a new team par-3 golf championship matching pro-am teams from four international territories. Scheduled for October 21-26, 2018, the four-day, 72-hole competition will be played at three iconic Bermuda golf courses, including Port Royal Golf Course on October 23rd, with the finals at Turtle Hill Golf Club’s par-three course on October 24th and 25th. Certified PGA Professionals from the U.S., Canada, Great Britain & Ireland and Continental Europe will lead four-person teams (three amateurs and one professional) and compete in a Best Ball Team Competition (net of handicap) for a $100,000 purse and a world title. Entry fees of $12,500 per team will earn a PGA Professional and their three amateur partners one of just 20 places per region and one of golf’s most extraordinary experiences including golf on three incredible golf courses; five nights of single accommodations at the Fairmont Southampton on Bermuda’s stunning south shore; and memorable evening functions including opening and closing ceremonies, award-winning food and unparalleled Bermuda hospitality. Amateurs may be from different golf clubs as the BERMUDA 3s is an opportunity to represent one’s country. Port Royal Golf Course has been ranked among the world’s best public golf courses by Golf Digest and named Bermuda’s finest course by the New York Times. Port Royal features 18 championship holes over 6,842 manicured yards, the longest and most picturesque course in all of Bermuda. Designed by world-renowned architect Robert Trent Jones Sr. in 1970, Port Royal underwent a multi-million renovation in preparation for the 2009/2010 PGA Grand Slam of Golf. With the support of the Bermuda Government and professionally managed by Troon Golf, Port Royal is one of the world’s premier public golf courses boasting sweeping ocean views and a luxurious clubhouse. For those short on time, Port Royal’s 9-hole Ocean View Golf Course offers a quicker alternative to its 18-hole championship course. Registration is now open online at bermuda3s.com, via email to info@bermuda3s.com or by calling 561-379-2134. Port Royal Golf Course is professionally managed by Troon. Headquartered in Scottsdale, Ariz., Troon is the world’s largest golf management company providing services at more than 360 locations around the globe, including 280 golf courses at 246 facilities. In addition to golf, Troon specializes in homeowner association management, private residence clubs, estate management and associated hospitality venues. Troon’s award-winning food and beverage division operates and manages more than 150 restaurants located at golf resorts, private clubs, daily fee golf courses and recreational facilities. With properties located in 35 states and 30 countries, divisions of Troon include Troon Golf, Honours Golf, Troon Privé (the private club operating division of Troon), Troon International and Cliff Drysdale Management. There are currently 60 Troon-affiliated properties featuring 80 golf courses on national and international “Top 100” rankings. Troon-affiliated properties include Bayside Resort Golf Club in Selbyville, Delaware; Kapalua on Maui, Hawaii; Mauna Lani Resort on the Kohala Coast on Hawaii; Pronghorn in Bend, Oregon; Lofoten Links in Norway; and Mollymook Golf Club in Australia. For additional news and information, visit www.Troon.com.